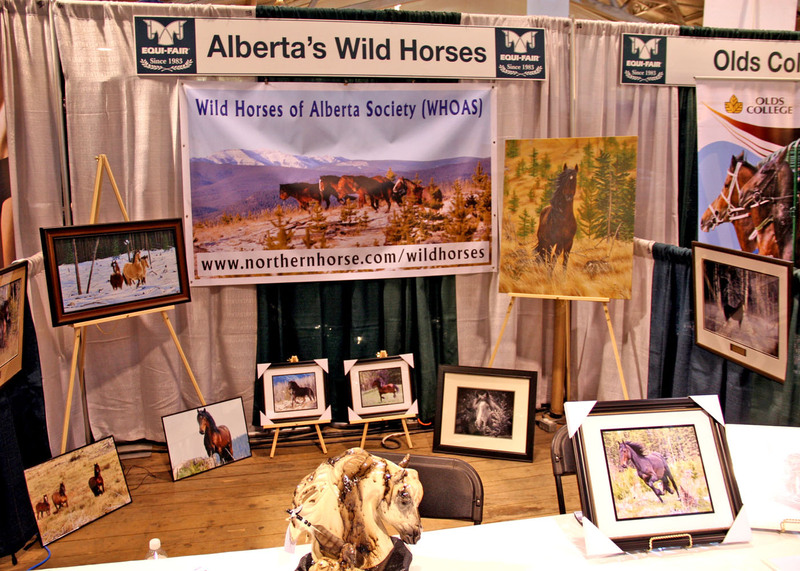 In September at the Spruce Meadows Equi-Fair, during the Master’s event, WHOAS had an educational booth set up to inform the public that attended, about the wild horses of Alberta. In addition to our new informational brochures, we had frig magnets with our contact and website information on them to hand out. Thanks to some local artists, we also were able to sell wild horse ceramics, exclusive wild horse paintings as well as some of my framed photographs to raise funds. All of us that attended to the booth on behalf of WHOAS were quite pleased by the reception from those that dropped by for a visit. Lots of questions were asked and the video that we played was well received and watched by everyone. We truly believe that it had a positive impact in favor of the wild horses. 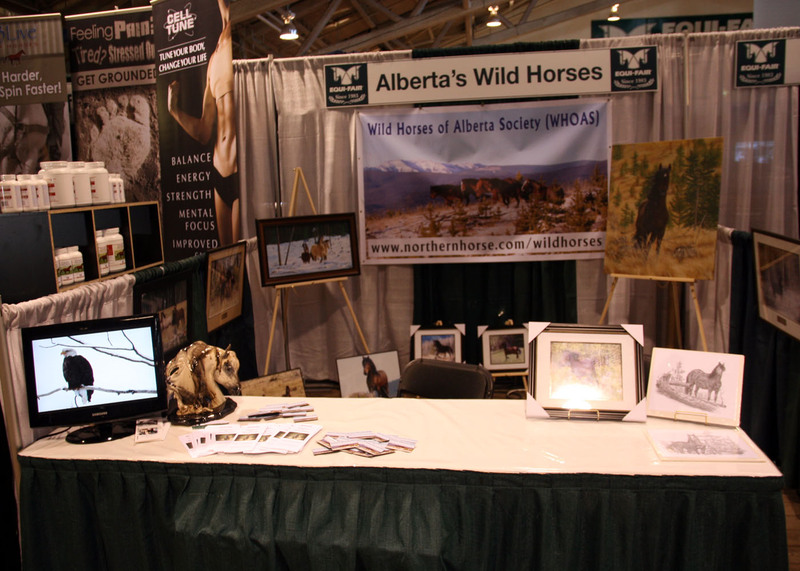 We will also have a similar booth during the Spruce Meadows Christmas Market, November 18-20 and November 25-27, 2011. This is to allow us to spread the word about our wild horses to a different audience. At this though we will also be able to sell our fund raising 2012 calendars. 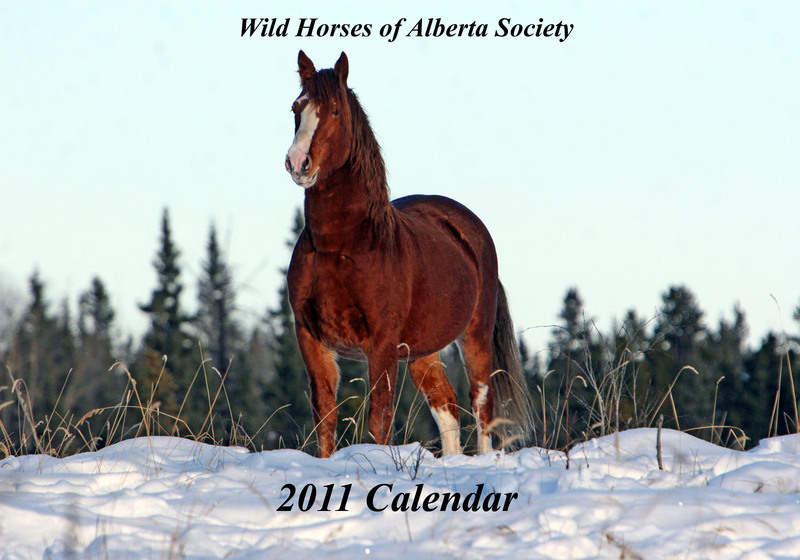 Calendars are now available for $25.00 which includes postage and handling and can be ordered by writing to WHOAS, Box 70022, Olds, AB., T4H 0A3.